The Ad Age Small Agency Awards were held on July 25 in Portland, Oregon. The annual ceremony highlights small to mid-sized agencies from across the United States. These awards remind us that when choosing an advertising, design, digital, or PR agency for your project, campaign, or brand, you shouldn’t ignore agencies because of their size. We’re highlighting 7 Gold winning agencies all of whom prove that in the creative world, size really doesn’t matter. All of the following award-winning agencies can be found on Agency Spotter where you can learn more about their specialties, see examples of their work, and connect directly with them for your next creative project. The Nebraska based agency Bailey Lauerman earned the coveted title of Agency of the Year. Staffed with 74 people, Bailey Lauerman focuses on creative insights to achieve its only goal: “the relentless pursuit of positively impacting the destiny of the brands we serve.” Bailey Lauerman’s most recent work sought to enhance the movie watching experience at AMC Theaters by combining the iconic brand symbol, the red ball, with popular and iconic movie images. The work, titled “AMC Amazing”, aims to make watching movies more of a branded experience with the introduction of posters that show the brand’s logo fused with movie images, with AMC Amazing written in the custom typeface titled “Zing”. Other clients for the agency include Walt Disney, Nationwide Insurance, and ConAgra Foods. Nail Communications is a Providence, Rhode Island based agency that won Gold in the Northeast region. Staffed with under 50 people, the agency focuses on research, strategy, web design, social media, advertising, and brand design. Some of the clients the agency serves include Cox Communications, Mike and Ike, and Keurig. 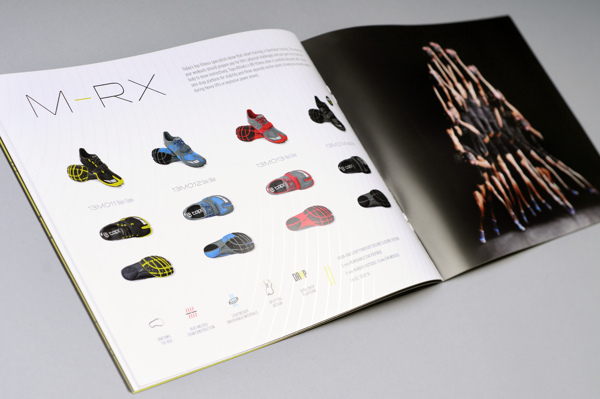 Nail Communication’s most recent work was for Topo Athletic, an athletic shoe brand. 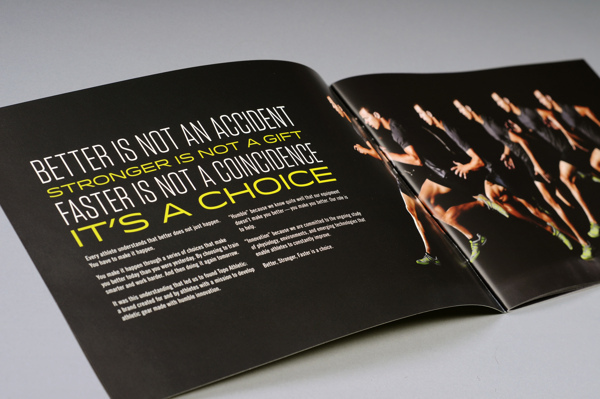 The agency provided art direction, editorial design, and graphic design for the redesign of the brand’s spring catalog. Copacino + Fujikado is based in Seattle and won Gold in the Northwest region. Staffed with just 32 employees, the agency focuses on experience design, strategy, and engagement. Some of the agency’s clients include the Seattle Mariners, Nordstrom, and Ste. Michelle Wine Estates. Some of Copacino + Fujikado’s recent work was for the Seattle Aquarium, which was aiming to create a richer brand experience for its patrons. The agency created a children’s ebook titled Edwin the Super Duper Otter, which reached the top 10 list of free children’s books on iTunes and averages 3,000 downloads each week. Sullivan Higdon & Sink is based out of Missouri, Kansas, and Washington D.C and won Gold in the Midwest region. Staffed with 125 people, the full service mid-sized agency maintains collaborative teams that focus in food, finance, health care, aerospace and marketing to men. Some past clients include American Century Investments, Cargill, and Pratt & Whitney. 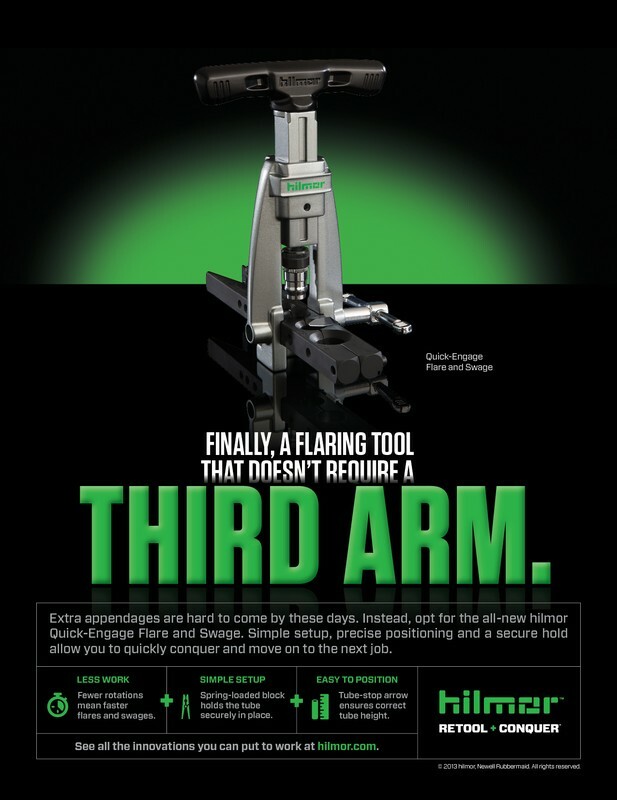 One recent client, Newell Rubbermaid, chose Sullivan Higdon & Sink to launch their new brand of hilmor tools. The agency worked in all aspects of the product launch including brand development, packaging, and web design. Threshold Interactive is based out of Culvery City, California and won Gold in the West region. Staffed with 31 people, the agency specializes in brand & marketing strategy, web & mobile applications, social media, and content creation. Some big name clients include Gerber, Iams, and Hot Pockets. Recent work for Butterfinger bars involved creating an alternate reality game to promote awareness of the candy bar and drive sales. 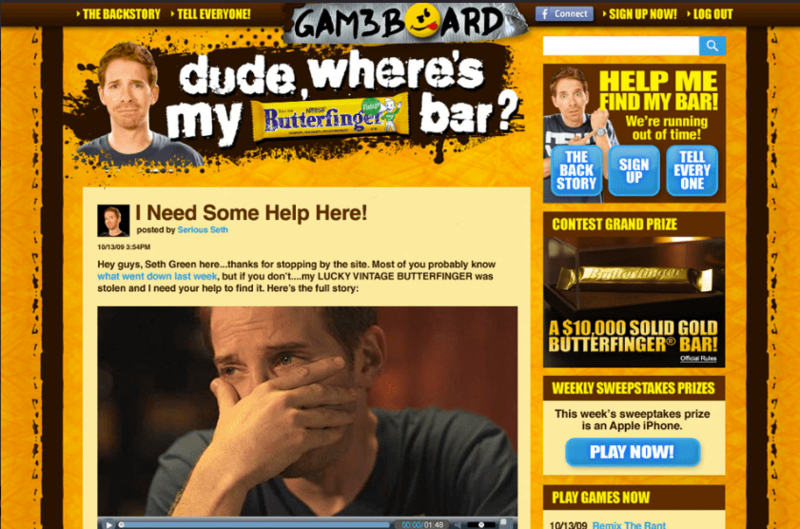 The campaign, titled “Dude, Where’s my Bar?” asked the public to help comedian Seth Green find a stolen Butterfinger bar by laying out many clues over 6 online games, 14 original videos, 2 websites, and a seeding strategy for entertainment media sites and personalities. This multifaceted approach resulted in over 1.5 million online video views, listing on Ad Age’s Top Ten viral video list, and over 760,000 game app downloads over two weeks. TDA_Boulder is based out of Boulder, Colorado and took Gold in the Southwest region. Staffed with 25 people, this small full service agency has had some large clients including Chipotle, General Mills, and Chobani Greek Yogurt. One recent client for the agency was FirstBank, a regional bank that saw its assets grow $3 billion over three years while working with TDA_Boulder. The agency created outdoor advertising and a few television spots as well as utilized some unconventional methods to promote the idea that FirstBank was created to help people save money. Big Communications is based out of Birmingham, Alabama and took Gold in the Southeast region. Staffed with 43 people, the agency specializes in PR, media, and creative campaigns. Some past clients include Verizon Wireless, Alabama Gulf Seafood, and Jacksonville State University. One recent client for the agency was for the Alabama Commerce Department, which wanted to show Alabama’s state of economic progress to its citizens. 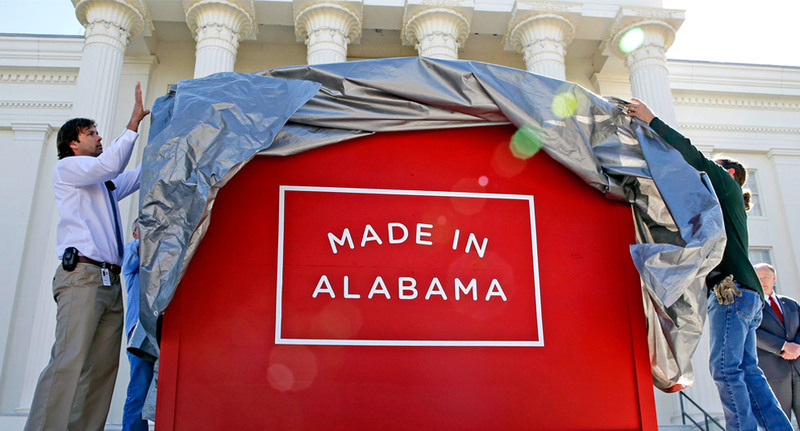 Big Communications created a branded digital experience labeled “Made in Alabama” which constantly updated and shared the relevant economic news and positive impact of Alabama’s commerce on the nation. Interested in Working With These or Other Creative Agencies? Use Agency Spotter to search, compare, and connect with the right agency for your needs. At an agency? Get your portfolio on Agency Spotter then share it and invite you best clients to rate you!